Another week has already passed, which means it is time for another news article! This time we will be covering Counter Strike: Global Offensive, and all the events that have taken place in the professional scene, as well as some shocking changes to the gameplay. There is a lot to cover and not much time, so without further ado, let’s get started! The first and foremost thing we must discuss is the recent changes that the wise folks at Valve decided to make. They reduced the Negev’s price from over five thousand to just two thousand. Yes, you heard me right. The Negev now costs less than a p90! They also drastically reworked how the gun works. The magazine size is the same, but the movement speed with the weapon has been greatly reduced. You are basically a tank while holding the Negev. The first sixteen bullets have no accuracy whatsoever, but after that, the bullets are laser accurate. This turret style of play goes against everything that Counter Strike stands for, as spray and pray annoys most high level players. You can buy armor and this over powered weapon for just three thousand dollars, and post up anywhere as a CT. The weapon has already been banned from most pro matches, and for good reason. Hopefully, Valve sees the error of their ways and changes the Negev back to what it used to be. At the same time this change took effect, Valve also buffed the R8 revolver. Unlike the Negev change, however, this buff is far more reasonable. The R8’s price has been reduced from eight hundred and fifty dollars to seven hundred dollars. This now allows you to buy the gun on pistol rounds and makes it the same price as the desert eagle. The shooting speed on the gun has also been buffed, making the revolver a viable weapon again. Both these changes were made by Valve in an attempt to make all the weapons viable, and while they messed up on one, they greatly improved the other. Hopefully, this experimentation will improve the game for the better. Let’s transition into news about the CS pro scene. You might have heard of Bee’s Money Crew, a new North American team full of young talent. They were able to burst onto the scene due to the plentiful amount of open qualifiers. They qualified for ECS already, and have a shot to qualify for the ESL Pro League. They have had close matches against high profile squads like SK, even forcing them into overtime in a tight map. The crew was looking for an organization to join. There were many offers, but in the end, they signed with Ghost Gaming. Behind their star AWPer Wardell, look for them to be a solid fixture for the foreseeable future in North America. The Misfits acquired a new coach in the form of Peacemaker. He was part of many solid organizations in the past, and there is hope that he can bring structure and insight into a relatively new roster with a lot of new signings. This is a solid move that makes sense for both Peacemaker and the Misfits. India has seen some love in the meanwhile. India has been targeted for its untapped eSports potential recently, and yet another tournament has been announced. The ESL India Premiership will have over forty three thousand dollars up for grabs, and it will be interesting to see if India can compete in the international CS:GO scene. Be sure to be on the lookout for rising Indian teams and stars. A tier four team in Norse also recently disbanded. Not much to say, but hopefully, the stars of the crew can join more established crews. G2 have secured invitations to the ESL One Cologne event. It will feature many top crews, although there will be a few omissions such as Astralis. This German event will be G2’s chance to unleash the potential that was promised since they formed the French super team. A low level North American team that had managed to qualify for the ESL Pro League has recently lost its star to a more established roster in NRG. Lilman has stepped into the shoes of the underperforming Marke for NRG. Rush was quick to sign rooRooo as a replacement, but they will feel the pinch that comes with the loss of a star. 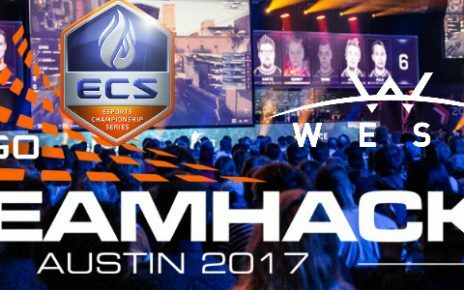 A relatively small LAN will take place this weekend in the form of the cs_summit. It will feature Liquid, Optic, NiP, Cloud9, EnVyUs, SK, Godsent, and Gambit. You will notice that other than SK, most of these teams are tier two squads that consistently face tier one crews. This LAN is their opportunity to shine and compete for one hundred and fifty thousand dollars without any top five teams to stop them. SK is probably the best crew amongst this bunch, but even they are not favored with the loss of FNX. Be sure to watch this LAN that features crews that you don’t normally witness on a big time stage. 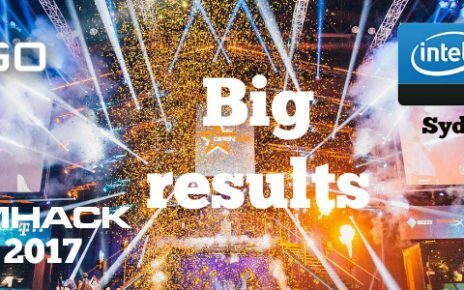 Speaking of Godsent, they achieved a major accomplishment by winning the ESEA European Premiere tournament, and have secured themselves a spot in the sixth season of ESL Pro League, that promises to feature over a million dollars in prizes. BIG and Penta will have a chance to qualify for a spot in the relegation matches that will take place in May. G2 acquired a Spanish roster in hopes to promote the scene in Spain, where there is little CS talent as of now. With a huge organization like G2 backing this endeavor, you can surely expect a high quality product to be delivered! Thanks for reading my article and I hope that you thoroughly enjoyed it! Hopefully, I was able to inform you about the latest in the scene quickly and in an entertaining fashion. Lookout for future articles, and I will see you next time! Good luck! 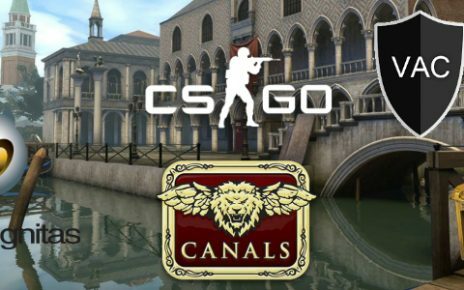 CS:GO Weekly: Spectrum case, Map Canals, Hackers Allowed Back?